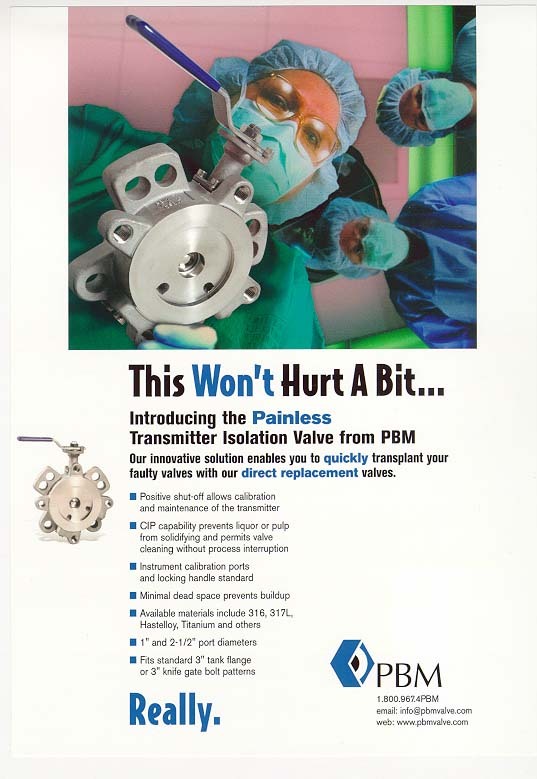 Transmitter Isolation Valves | PBM Valve - Prominent Worldwide Manufacturer of Safe, Reliable, High Quality Valves! PBM's Transmitter Isolation valves are specifically designed for any industry that must obtain pressure or level transmitter readings on tanks and vessels. Our valves are designed to ASME B16.34. Available in 150#, 300#, and 600# RF Flange. Calibration port, CIP port, and locking handle are standard. 90˚ turn handle enables easy operation.